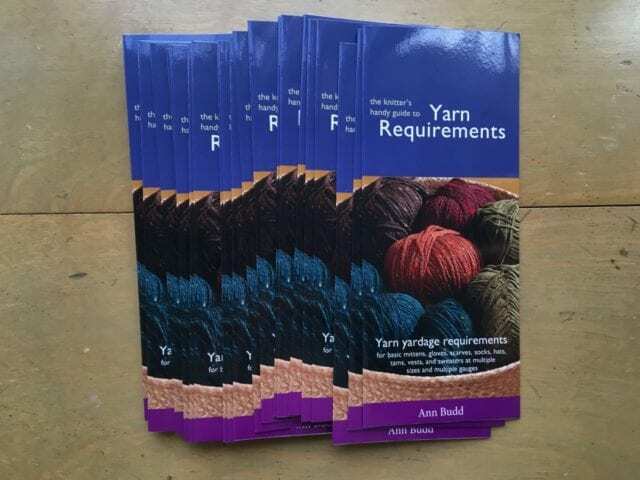 Many of you are probably familiar with Ann Budd’s Handy Guides for knitters and crocheters, little pamphlets for estimating how much yarn is necessary for any given project. 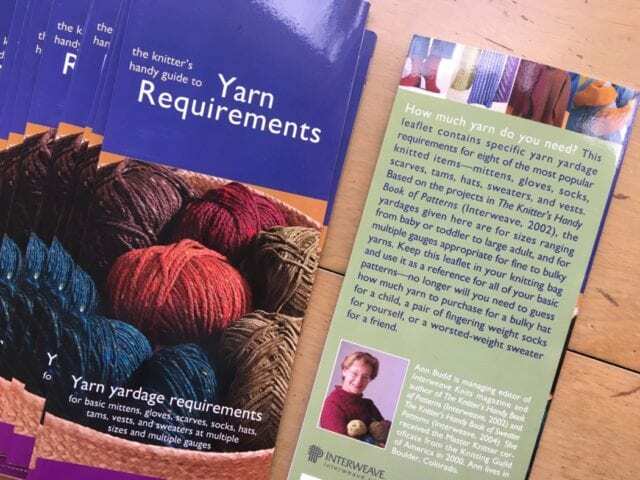 They work by matching up the gauge of your yarn with the finished dimensions of your garment-to-be. 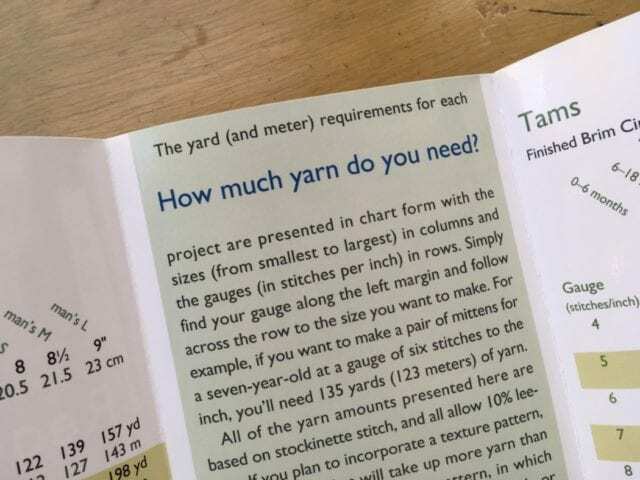 Designer Hannah Fettig has created a similar yardage estimator that she calls Stashbot which answers the important question, how much yarn do I need for my project? 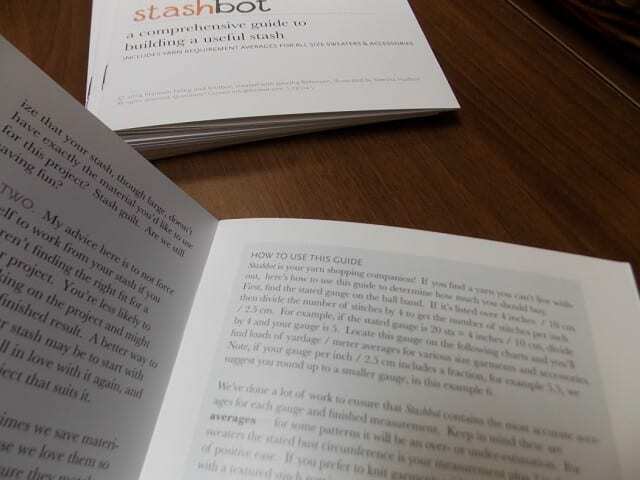 Stashbot is a small booklet, just the size to tuck into your knitting bag. It begins with a concise and friendly explanation of how to use it, discussing important variables in yardage requirements, like gauge and positive/negative ease. 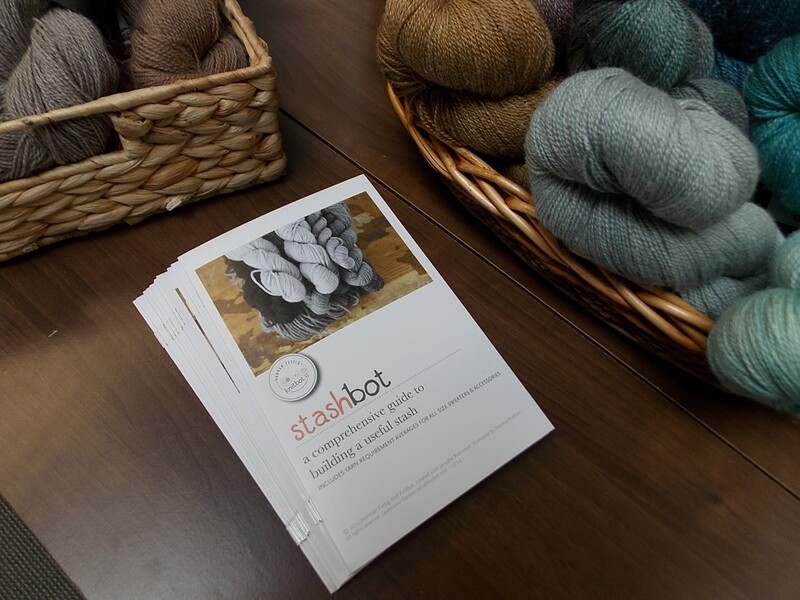 Like the Knitter’s Handy Guide to Yarn Requirements, Stashbot is divided up into a series of project types: sweaters, socks, hats, scarves, etc. It certainly overlaps with Budd’s guide, but also offers a wider range of gauges and a wider range of sizes, starting at 3 months where the other starts at 2 years, and going up to 60″ chest circumference. 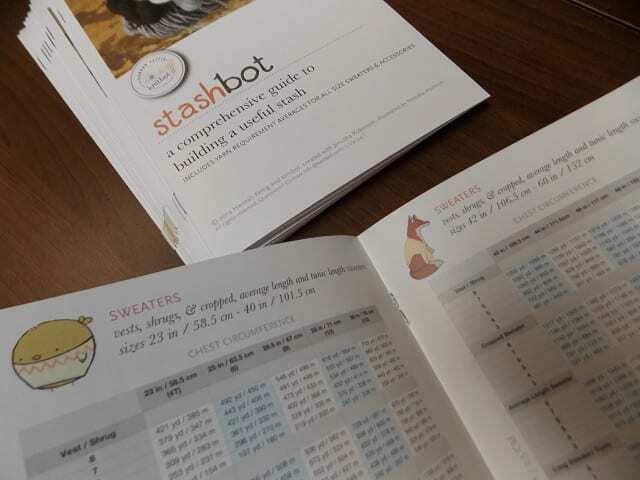 I particularly like that Stashbot offers so many more choices in the “sweater” section. Beyond “vests” and “sweaters,” you’ll also find yardage requirements for shrugs and three different sweater lengths: cropped, average, and tunic length. Come by the shop to take a closer at Stashbot and pick up a copy of your own!